All you need to become an Amateur Radio Operator! Easy-to-understand “bite-sized” sections. Use this book, and pass the 35-question license test. Includes the latest question pool with answer key, for use beginning July 1, 2018. Designed for self-study and for classroom use. Intended for all newcomers, instructors and schoolteachers. 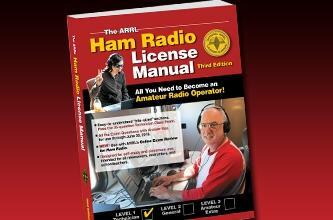 Additional resources to supplement your preparation are provided on our online Ham Radio License Manual Support Page. ARRL offers study materials to help you prepare for the Technician license exam. Use our class locator to find a class offered in your local area. Find an exam session offered in your community.